Menehunes-LVI come away with the consolation champs! After loosing there first game the Menehunes finished strong winning the last two games. Menehunes LVI took the consolation champs title. Will be back stronger then ever next year! Kenneth Ubom made the All-Tournament team. Nakatani's fell to Arizona Desert Jade in a battle. This match up is starting to become a rivalry. Nakatani's put up a good fight this tournament beating some of the best teams in the country. They had to face a young Ironmen team, who was missing some of there key players, then had to beat a well rounded dreamleague.org team in the semifinals, then falling to Arizona Desert Jade in the Championship game. Nakatani's just ran out of gas at the end. But overall was a great tournament for them with what they had. They are making a new rivalry with the Arizona Desert Jade team. Billy Hofman made the All-Tournament team. 2010: Arizona Desert Jade defeat Nakatani in Overtime in the championship game. 2011: Nakatani defeat Arizona Desert Jade in the Semifinals and go on winning the 2011 LVI Championship. 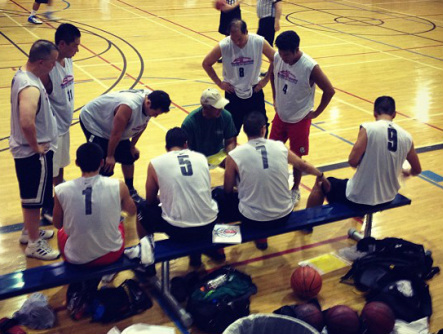 2012: Arizona Desert Jade defeat Nakatani in the championship game.